When I think of gravies made without tomatoes I really wonder how one can make gravies without tomatoes. For me onions and tomatoes are something that are mandatory for a gravy. When it comes to using tomatoes, there are couple of methods used to make the best use of it. Sometime back when we make any kurma or even a simple curry, I simply used to chop it finely and add. These days when the boys not wanting to have the tomato skin in the gravy, I have resorted to making a puree and adding to the gravy. This makes sure that you have a thicker and more gravy. 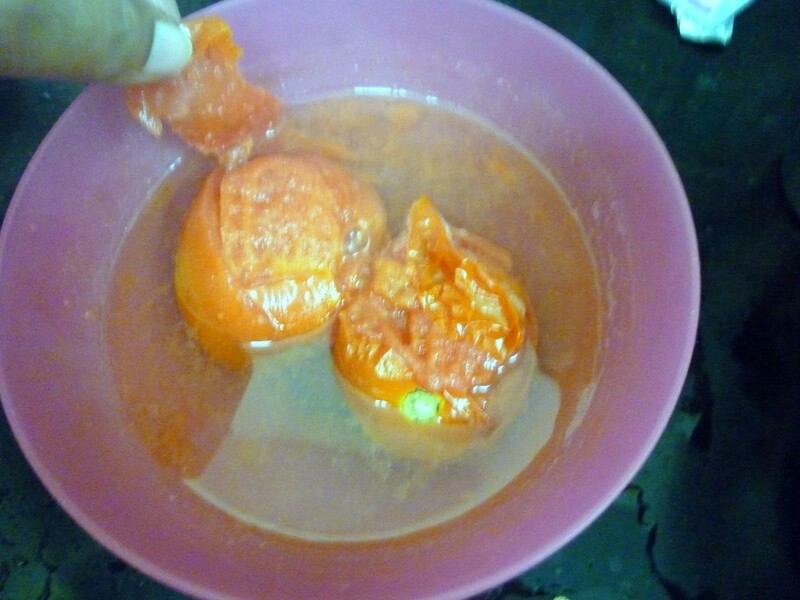 When you want to blanch tomatoes, take ripe tomatoes, wash and keep it aside. Bring to boil 1 -2 cups of water as required. 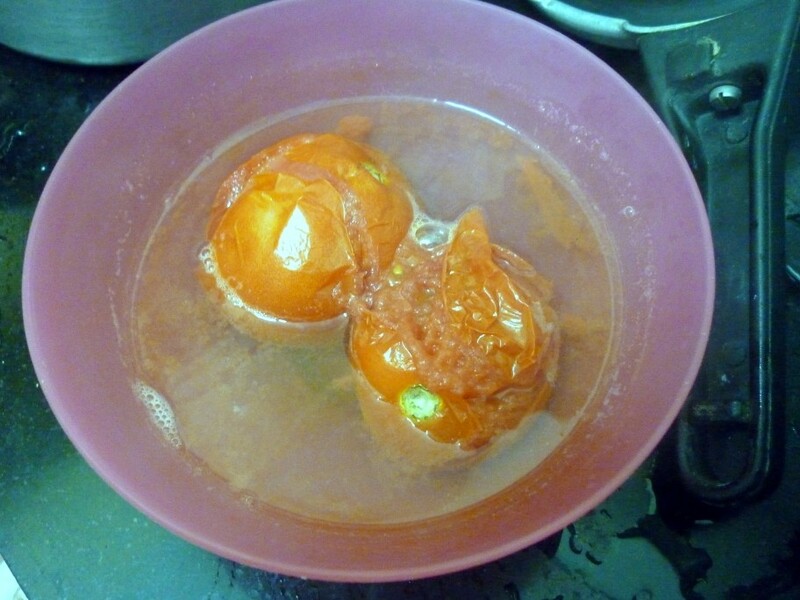 When the water is boiling, make sharp slits on the tomatoes and add to the boiling water. Switch off the flame and keep it covered. This takes about 5 mins for the skin to loosen up. Typical blanching would require the tomatoes immersed in hot water to be immediately immersed in cold water. But I have seen that it works just fine, if I leave it in hot water and cool and puree to use in gravy. Remove the skin with a knife and allow to cool. Puree the tomatoes and use in the gravies. Used in kurmas, gravies where you want more gravies. Wash and pat dry the tomatoes. Using a fork, insert into the tomatoes. Show over flame and roll over the tomatoes so that the tomatoes get burnt. When the tomatoes are done all over, remove from the fork and allow it to cool. Remove the skin when the tomatoes cool. 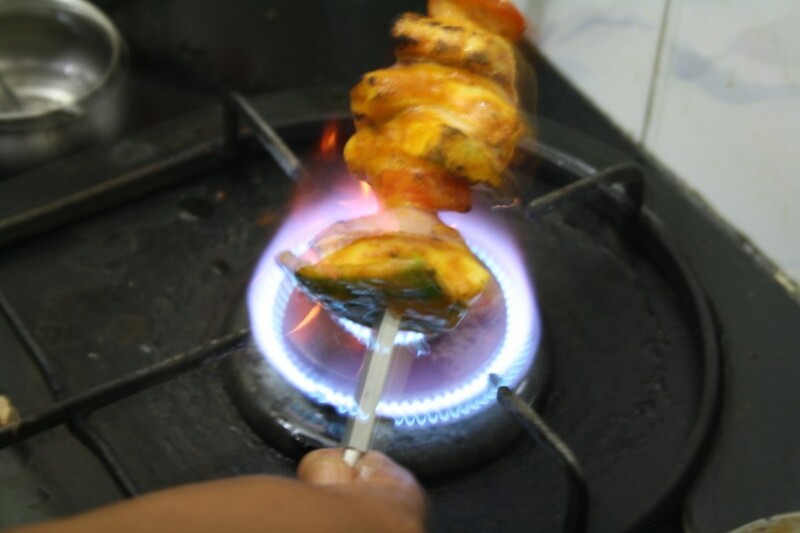 This gives a wonderful tastes for foods like Paneer Tikka, Baigan ka barta etc. When you have excess tomatoes on hand, you can puree as many as you want either by blanching or my simply pulsing it and storing it in ice trays. Once the tomatoes are frozen you can break and store them in zip lock covers and use when required. like your idea of roasting the tomatoes. would be delicious for soup also. Nice post dear..like the idea of storing in ice trays, I store Gin&gralic paste in ice trays,never had the idea of freezing the tomato puree,will do it.Thanks for sharing. I usually end up buying canned tomato puree, but your post made me realize its really easy to make my own. May be next time I find juicy tomatoes I'll make my own puree. Very useful post indeed, i have neve tried roasting them to remove the skin, Freezing the puree also sounds like a good option!!! very useful post on tomatoes…thanks for sharing..
Never tried roasting the tomatoes, thanks for this interesting post Valli. That is indeed a great tip! Blanched tomatoes make for a great sauce! I blanch the same way, but do not put any slit in the tomato. I just throw it in boiling water for a couple of minutes and the skin peels off. Nice tip Valli. Nice tips for novice cooks.